The Fatima students entered into this fundraiser wondering how much impact a kid could have and how a penny could really help. 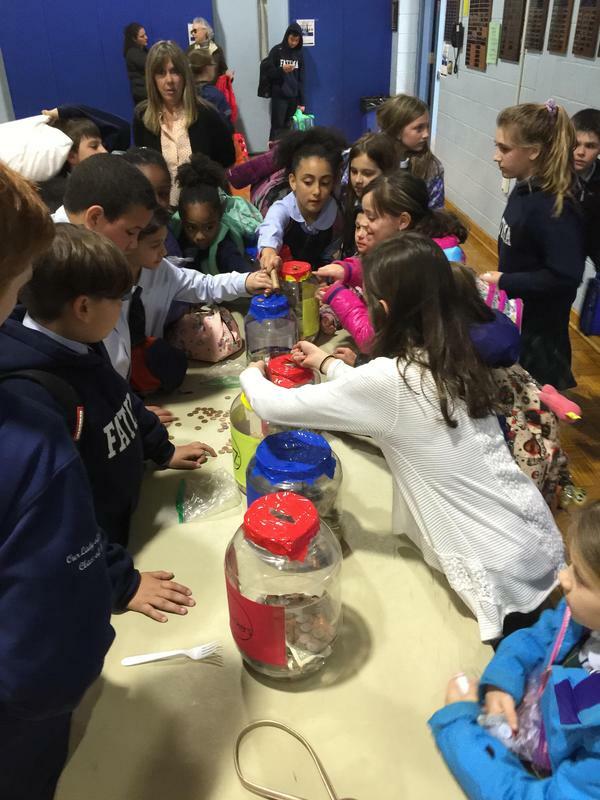 The idea of the Penny War was brought to us by Mrs. Fontana. 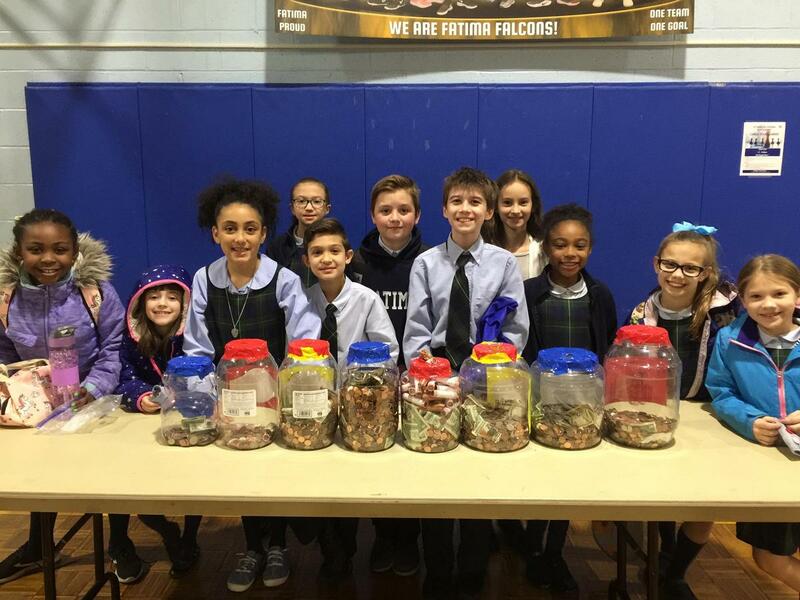 Although most kids didn't think a penny could really help in a fundraiser, they embraced the idea and realized participating would be so much fun! Out of the gate, there was an absolute frenzy the first day of the collection/competition. Each day, pennies were increasing in each grade's jar, but so were the silver coins and dollar bills. All other money beyond pennies subtract from the grade's total. The winning grade with the largest total after all the silver coins and dollar bills are factored in wins. We will admit, the competition was fierce. There were days it got a little rough as all the children swarmed around the jars to increase their penny total and sabotage other grades. However, there was a common goal of increasing the Fatima Faith Fund and that is what each and every child did. One child, one penny, can make a difference. They should be proud. And congratulations to the 3rd & 4th Grade Team taking 1st Place! The 5th Grade Team won second place for having collected the most pennies, but were sabotaged so badly, had a negative total. 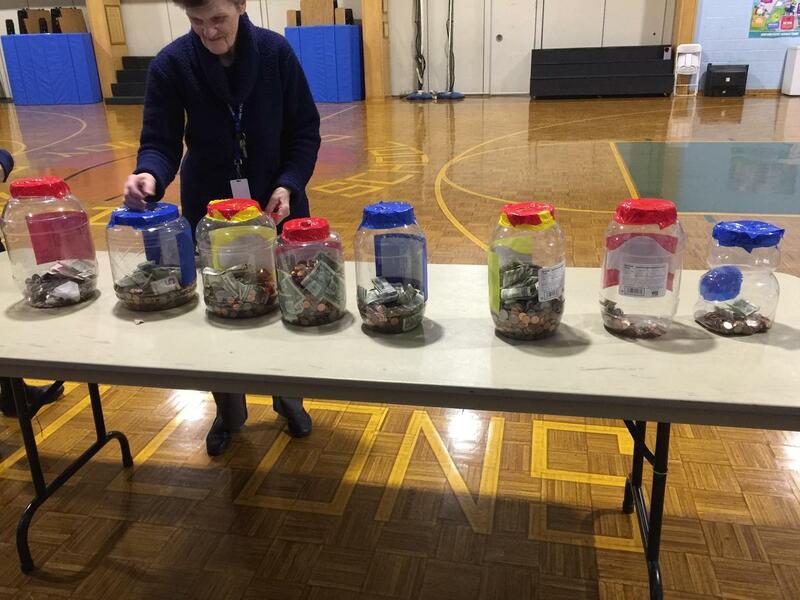 Of course, the biggest winner is the school by receiving nearly $700.00 the competition raised.